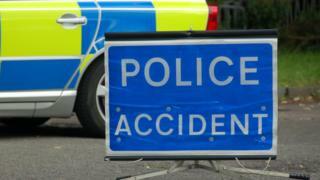 A fatal road crash in Ayrshire will be the focus of a hard-hitting new scheme to promote road safety. Motorists taking part in the New Driver Scheme will be shown a film which looks at the devastation caused by the collision near Stewarton in April 2014. Patricia Brown, 52, and Alec Stewart, 18, died in the crash. The film, which has been developed by Police Scotland, features Alec's sister, Amy Stewart, who talks about the loss of her brother. It will also feature "dash-cam" footage which documents the incident in detail. Gary Nicholson was jailed after he admitted causing the deaths of Ms Brown and Mr Stewart by dangerous driving. Police and the fire service have teamed up with the Motor Schools Association of Great Britain to deliver the road safety initiative. It is being rolled out in South Ayrshire initially, with the hope that it can eventually benefit drivers across the country. PC Craig Beaver, of the trunk road patrol group, said: "Too many young people are involved in serious and fatal collisions on Scottish roads. "Young drivers may be familiar with the fact that speed can kill, however, statistics show that young drivers are more vulnerable on the road. "Our presentation will demonstrate the consequences for new drivers, their passengers and other road users if they drive inappropriately." He added: "We have a particular interest in reaching young drivers, however, all are welcome to attend." Police and the Scottish Fire and Rescue Service (SFRS) will be promoting the sessions through social media. Companies that employ fleets of drivers are also being contacted to see if they could benefit from the scheme. George Baggley, Scottish Fire and Rescue Service watch commander, said: "Young drivers are at a much higher risk of having an accident than older drivers. "Drivers aged 17-19 only make up 1.5% of UK licence holders, but are involved in 9% of fatal and serious crashes. "The aim of this programme is not to lecture new drivers on how to drive but to offer them knowledge and experience on how to drive safely."